Sony Pictures Classics has released the first trailer for director Alex Gibney’s (Taxi to the Dark Side) documentary The Armstrong Lie. 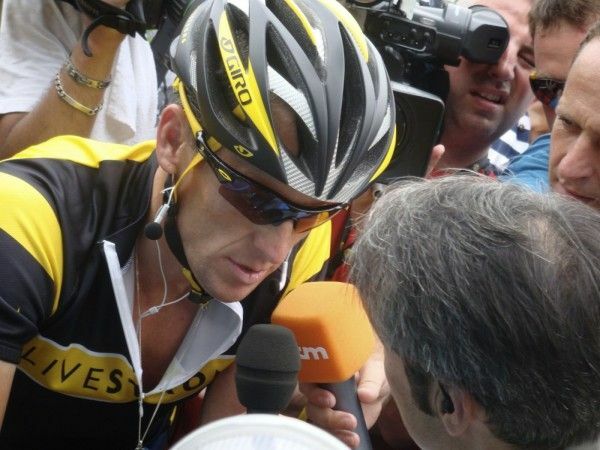 Gibney’s film takes a fascinating look at the Lance Armstrong doping scandal, as this documentary actually began in 2009 as a look at Armstrong’s comeback. After having shot a fair amount of footage in which the cyclist denied ever using performance-enhancing drugs, Armstrong subsequently admitted to doping, and what ensued was a series of “after” interviews with Gibney in which Armstrong spoke candidly about his actions. As Gibney says in the narration of the trailer, this isn’t a story about doping but rather “about power,” and the footage that he amassed looks to provide a fascinating look inside Armstrong’s world. Word on the film was positive coming out of TIFF, and I’m certainly interested to see what insights are gleaned in this documentary. Hit the jump to watch the trailer. The Armstrong Lie opens in theaters on November 8th.